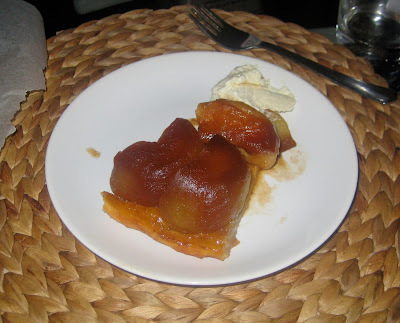 Many years ago when I was at Yale, I was taught how to make tarte Tatin (an upside-down caramelized apple tart). It was a quick and easy approximate recipe which I clearly never was able to reproduce. 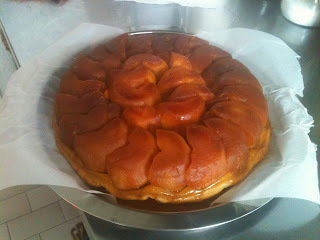 So I went on to try different recipes to get the same result but was never quite satisfied. Until last week! 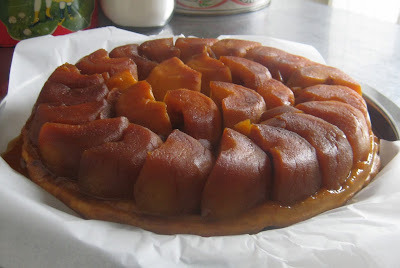 The major issue was the caramel: it has to be really well done, dark enough to get nicely caramelized apples but not overcooked either unless your apples become bitter and ruin your tart. Mix flour, sugar, salt. 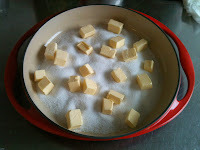 Cut cold butter in pieces, add to flour and mix with your fingers to make crumbs. Add cold water and mix fast with a wooden spoon. 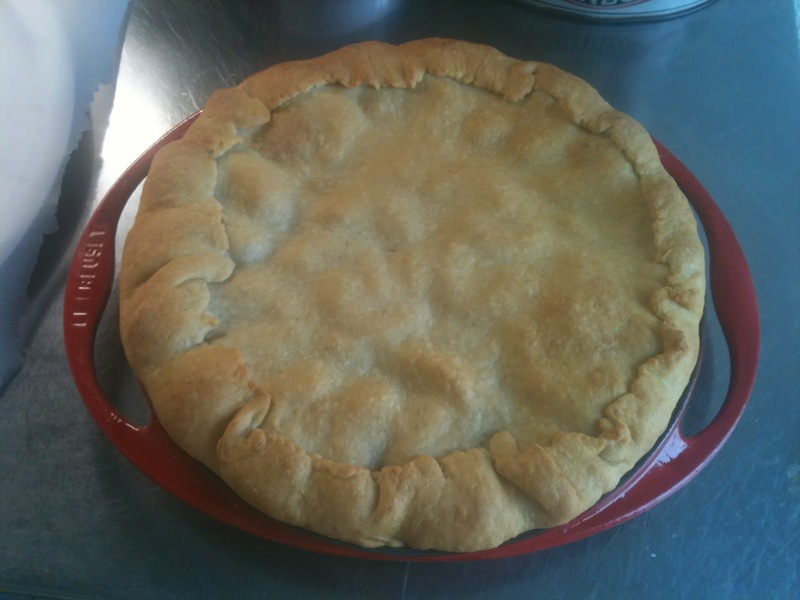 Make the dough, cover and refrigerate it 30 min. Peel apples and cut them in 2 (in quarters if you prefer). Place sugar and pieces of butter in a Tatin form. 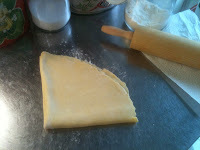 Place the form on a warm plate and let sugar and butter melt on medium/high heat (3-4/6). Mix with a wooden spoon until obtaining caramel: remove the form from the heat source when you are happy with the color. 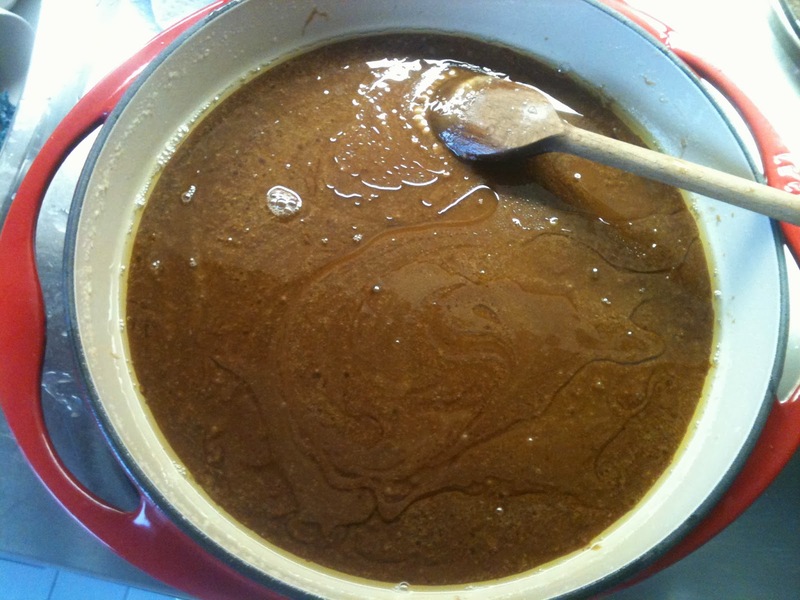 Note: it will go from light yellow when melting to amber color when sugar fuses, to light brown when the caramel starts forming: then it only gets darker with time. I like a real brown color such that apples will have that color once baked (but if you let your caramel darken too much it will become bitter). Place apples really tight together (vertically) on the caramel in the Tatin form (and fill possible holes in between apples with more apples because when they bake apples shrink and you don't want random empty spaces in your tart). 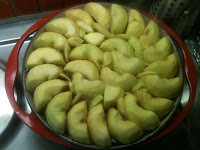 Put the form back on the fire and let apples bake and get impregnated with the caramel for 7-8min on high heat (5-6/6). Put aside and sprinkle the apples with some cinnamon. Roll out the dough on a floured table (approx 4 mm thick) and transfer onto the Tatin form on top of the apples. Fold in the edges of the dough such that it does not go on the form itself. 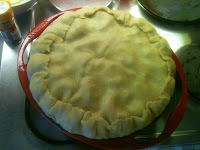 Bake in the oven 35 min at 180-200 C. Flip the tart over when still warm (else the apples will stick to the form). Serve lukewarm as is or with a scoop of vanilla ice cream, I think it is even better :-D Enjoy!! !